Fantastic service from both, highly recommend. 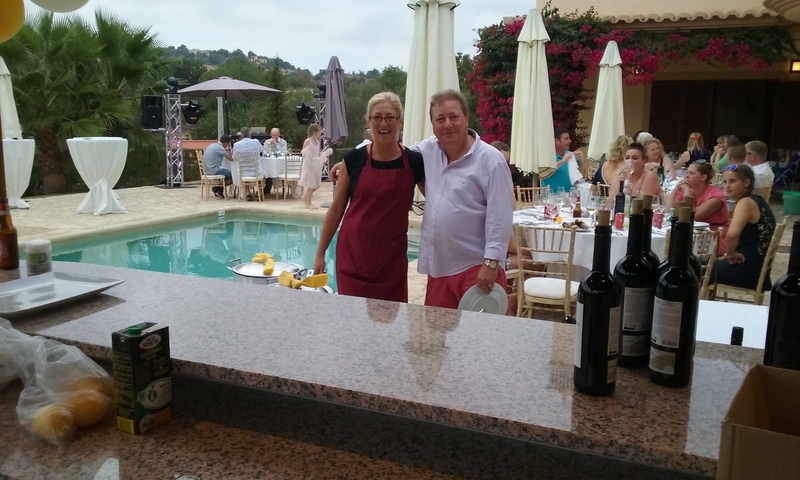 We had the Bbq menu for 9, the food was unreal, lovely to have everything washed & cleared away, a perfect night in our villa as part of a hen do. Thanks again for making so special. Just wanted to say thank you so much for a fantastic meal last night. You were brilliant, especially with the bbq situation! Thank your assistant too for being so fabulous. 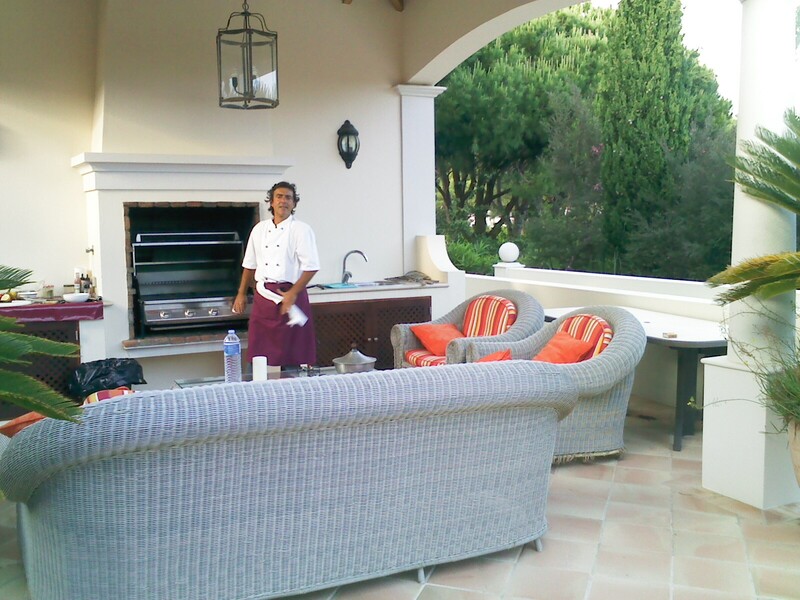 The food and service was absolutely wonderful and we will be recommending you to other holidaymakers at the villa. we are back home now in England, and I just wanted to say thank you for such a fantastic meal on my birthday. The food was exquisite, and to have the table prepared, seamless service and clearing up after was fantastic too. None of us had to lift a finger! Each course served from the “ taste of Portugal” menu was so tasty. Thank you both for making my birthday extra special. Roberto and Arianna, can a say just a big thank you for the fantastic Birthday meal on Thuesday, You both worked incredibly hard and the food was amazing. My friends were all raving about the Chateaubriand and the strawberry cheesecake….delicious!! We all had a great night!!! 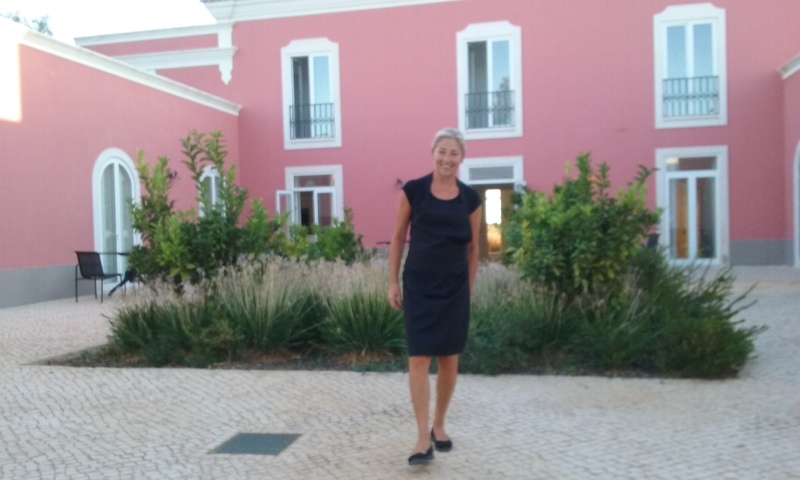 Travelled to Portugal with 20 Canadian women this Sept (2017) with hopes to be wined and dined with local fare. Roberto & Arianna did not disappoint and raised the bar above our expectations. We were welcomed warmly to every meal by our hosts personally and by their beautifully set tables and aromas to die for. 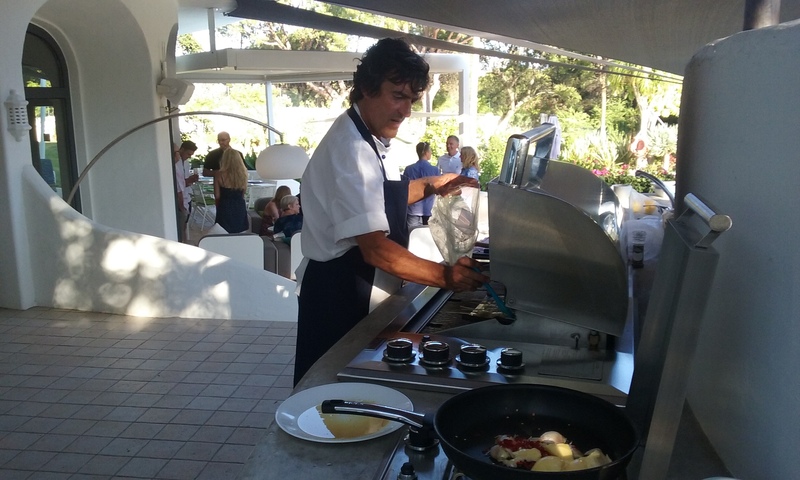 Chef Roberto was able to capture the many tastes of the the Mediterranean and provided plenty of variety over our 7 day stay. Arianna served us graciously and my wine glass was seldom empty. From beginning to end each meal was well thought out, executed perfectly, and tasted amazing! 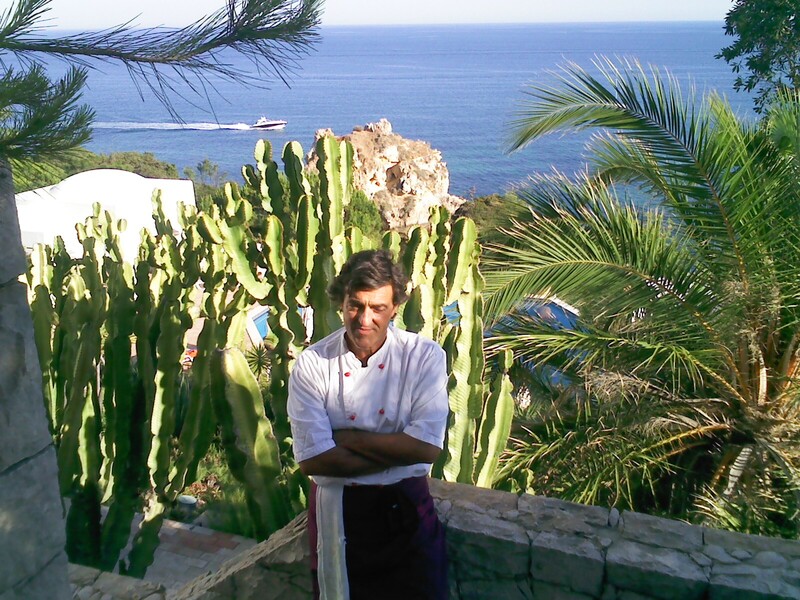 Roberto humoured us in answering all our culinary questions, taught us plenty and showed great passion for what he does so well. Our group was unanimous in saying that the food and service were world class and we will be raving about the flavours of Portugal for time to come. Many thanks Roberto & Arianna! Our fondest memories of Portugal will always include the food we enjoyed on our terrace. We will recommend your services without hesitation to anyone who has the luxury of traveling your way. Back to work this morning and the first thing on my to-do list is to drop you a line to say a massive thank you. The food you prepared for Friday’s meal and Sunday’s BBQ was exquisite and far exceeded my expectation, it was the topic of conversation many times! I promised I would pass on thanks and comments from the girls who all said what a wonderful couple you are (and I totally agree, how you managed to put up with us rowdy lot I’ve no idea). They also commented on how professional and organised you were; everything arrived at the table hot, delicious and on time. Thank you again to you and Arianna for an absolutely splendid meal on Monday. The whole group had such a good time and cannot stop speaking about the wonderful food! Thank you so much to you and your lovely wife for a fabulous meal. It was the perfect end to a beautiful vacation and celebration of my parents 50th wedding anniversary. Everything was delicious. We are finally back home after the most amazing wedding and a big part of that was due to the unbelievable and memorable food you served. we are still getting messages from guests about how beautiful the food was from the canapés to the deserts. Not one part was at fault and that was all due to your team. I just wanted to thank you so much for the amazing BBQ you laid on for us last Sunday – we all had a wonderful time and everyone has commented how fantastic the food was. I really appreciate your efforts and culinary sills. I would not hesitate to book you again should we ever have a party in the Algarve again. Thank you. Just a quick note to thank you for all your efforts to make Sue's birthday party such a success. A BIG THANK YOU "GRAZIE!" We just wanted to let you know how impressed we were with the BBQ you prepared for us yesterday....it truly was amazing!!! All our guests said how fantastic the food and the service was that you provided. We are so very thankful for all your efforts and will definately recommend you to everyone we know. Thank you so much for the dinner last Monday, the food was delicious and we had such a great time! The food really marked the occasion for my parents anniversary! Thank you for a wonderful evening! We could not be happier, fantastic food and excellent service from two lovely people! 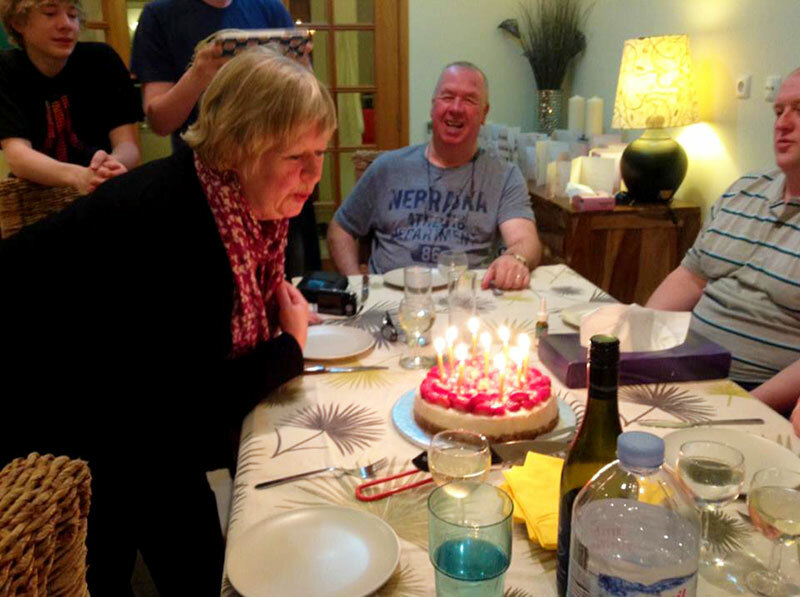 Thank you for a wonderful evening, and making my mums birthday so special! Just a quick note to say thank you for a wonderful evening for my wife's 60th birthday - we all loved the food and the really professional way you and your wife helped us all enjoy the evening so much . It all felt so easy and relaxing . I particularly loved the sardines - incredible flavours and to be honest , not my normal choice , but from now on they are ! Thank you both again for such a lovely evening - I'd have no hesitation is recommending you for others who would like a very special evening . Just wanted to say thank you for the amazing food last night. As you probably saw & heard everyone had an amazing time! I’ll be sure to book you again on our next trip. 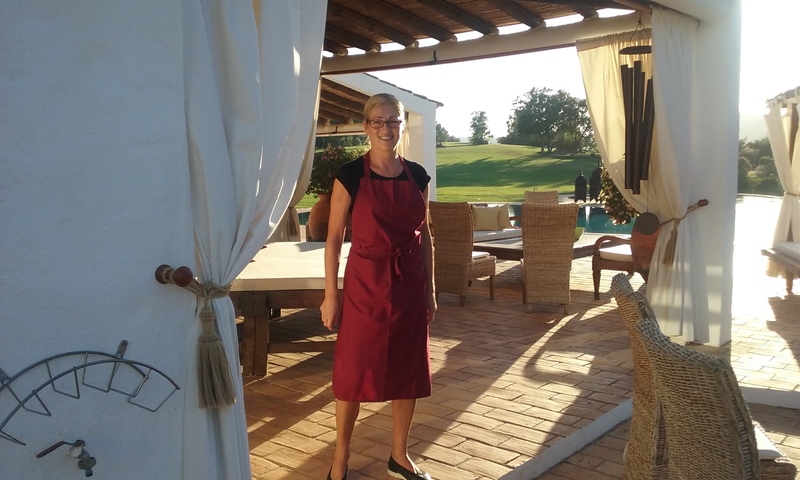 Thank you so much for the fantastic feast that you served up on Sunday evening at Carvoeiro – it was absolutely superb!! We hoped and thought the evening would be good, but everything exceeded all our expectations. It was an evening that we will never forget. Thanks again for the catering, the food was absolute delicious and all our guests and us were delighted. The BBQ was the best i ever had, so far, really. Thank you very much. Also the service was brilliant! I wish i could eat those Cajun chicken and the goat cheese things every day! It was fantastic!! Just a short note to say thank you for such a lovely meal last night. Everyone was super impressed and enjoyed it immensely. Another important part of the day for us was the food and drinks. We wanted to have a relaxed barbeque meal with a bar serving cocktails. 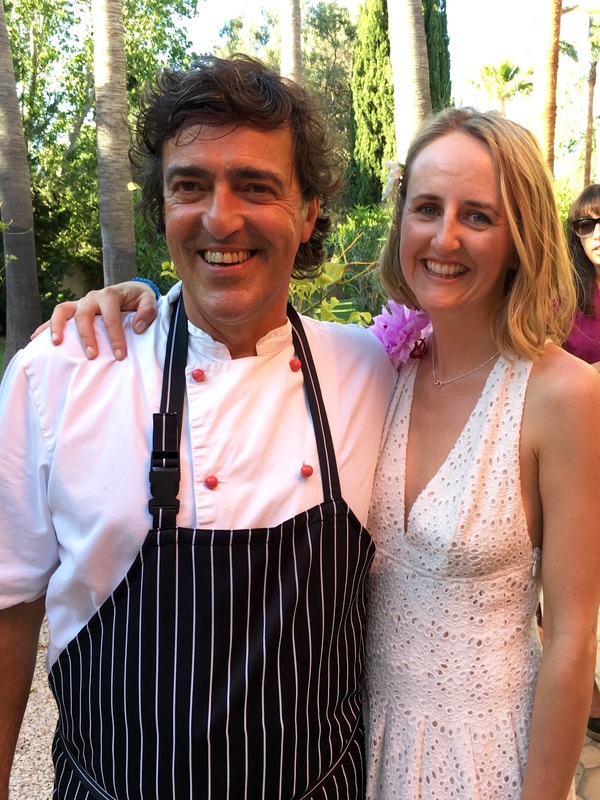 We came across Roberto and Arianna from Chef Affairs, who are an Italian couple and their traditional Italian cooking comes through in all of their amazing food. 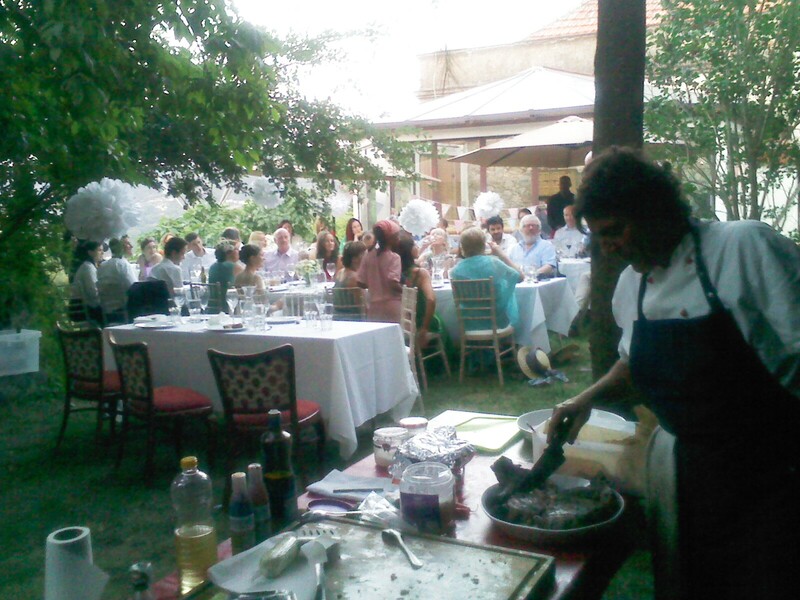 We had canapés, starters and a spectacular barbeque of different meats and fish and then some gorgeous desserts. Thank you very much Roberto and Arianna for making Andy's birthday so special. Your food was amazing and delicious, everyone is still talking about it today. The whole evening was just wonderful. We wouldn't hesitate to recommend you. Back home and slowly settling down. The food, the tables, chairs, cutlery, wine, EVERYTHING was just perfect. If ever you need recommendations - send them our way ! You both are very special people. We enjoyed very much with you! Your service, your food - wow - it was so delicious! You are the best private chef we can imagine. Roberto and Arianna you are a great team! If, someday, we come back to Algarve, we will call you, for sure! We can recommend you as best! We are honored to have met you. We think back much to this holiday and to you! I must mention that Roberto and Arianna are wonderfully professional individuals that make you feel as though you are one of the family, they shared with us the history of the dishes, where the ingredients came from, so it was more than (just a meal) it was an AMAZING experience. When we come back...and we will, we will be sure to call you again...as everyone should have this great time. All the best from Canada. 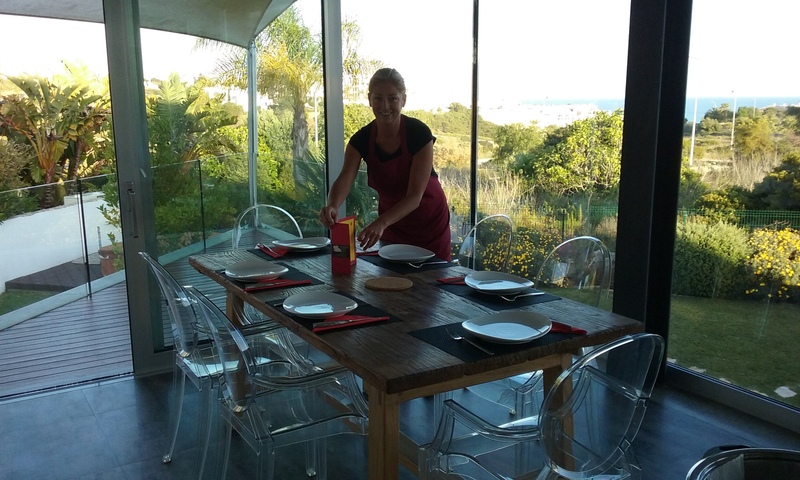 To compliment our fabulous surroundings we employed the services of Roberto and Arianna to prepare and cook our evening meals. 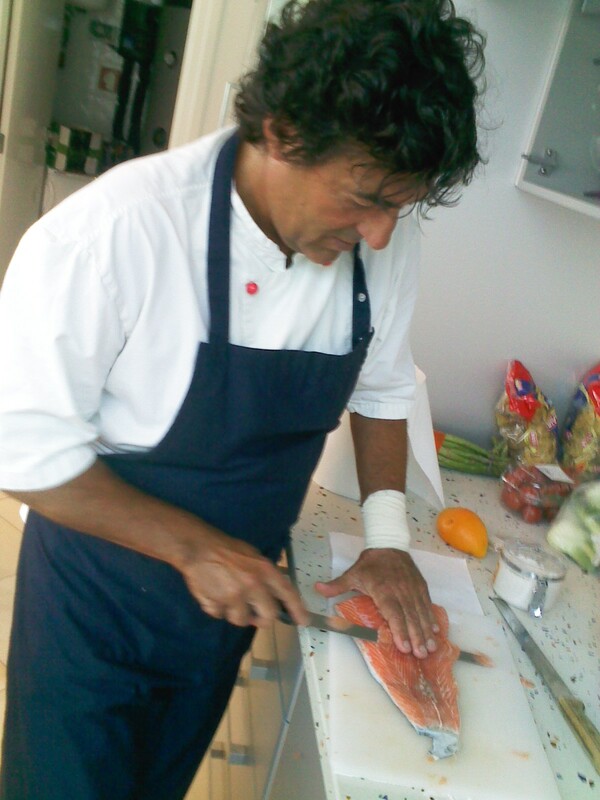 Roberto created some truly delicious dishes, some of which we have tried to recreate. Fantastico! All round! 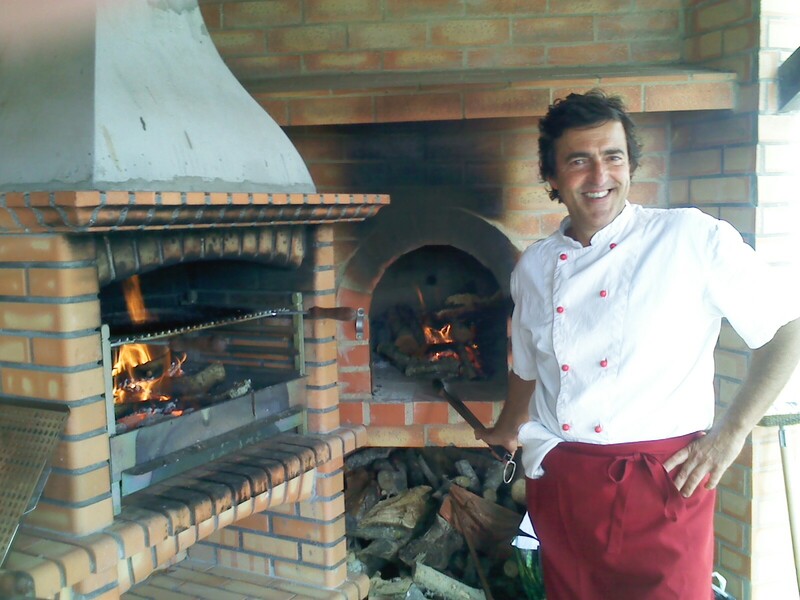 Some very special memories made at Villa Monte D'Oiro. Just celebrated my birthday with The Chef Affairs wonderful catering. Couldn't recommend highly enough. Food was out of this world and all our guests are still talking about the amazing feast - highlight of our holiday. It was all so easy to arrange by email. Thanks to Roberto and Arianna. 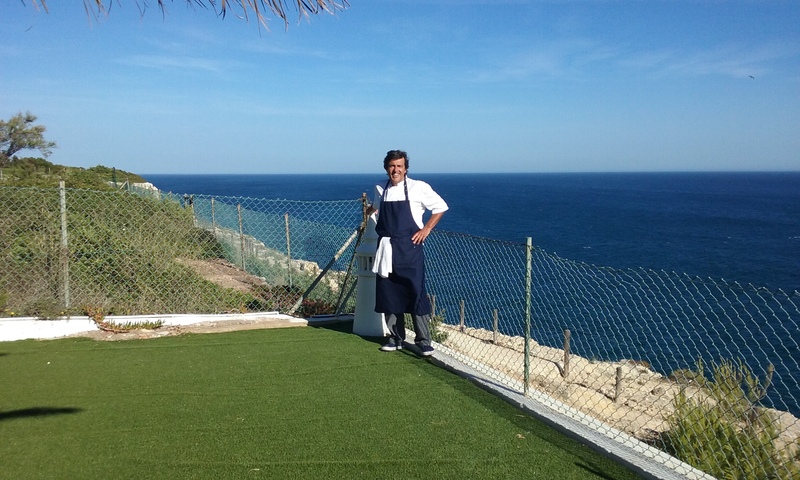 Dear Roberto, Just a quick email to thank you for your wonderful meals last week for all of us at Quinta Almara. We all had such an enjoyable holiday, and your cooking played a big part in us enjoying ourselves as much as it did. 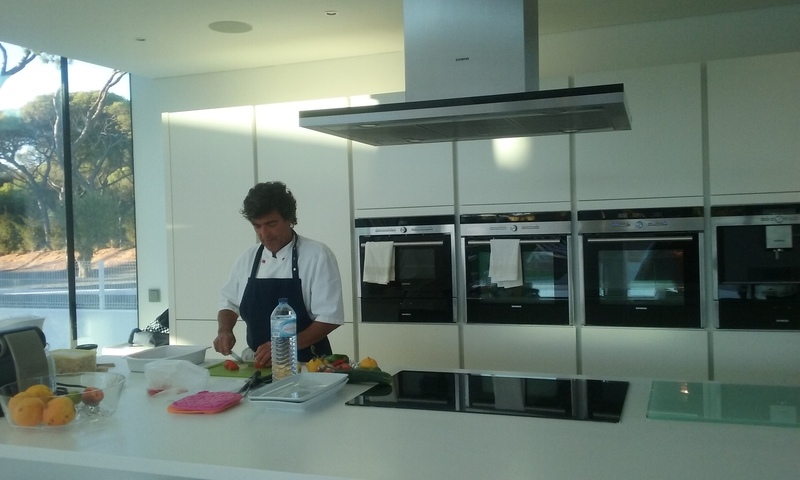 I have also contacted Premier Villas and thanked them for recommending you, as well as praising your cooking. Assuming we return to the Algarve before too long, we would very much like to book you again, assuming you do not get too booked up.